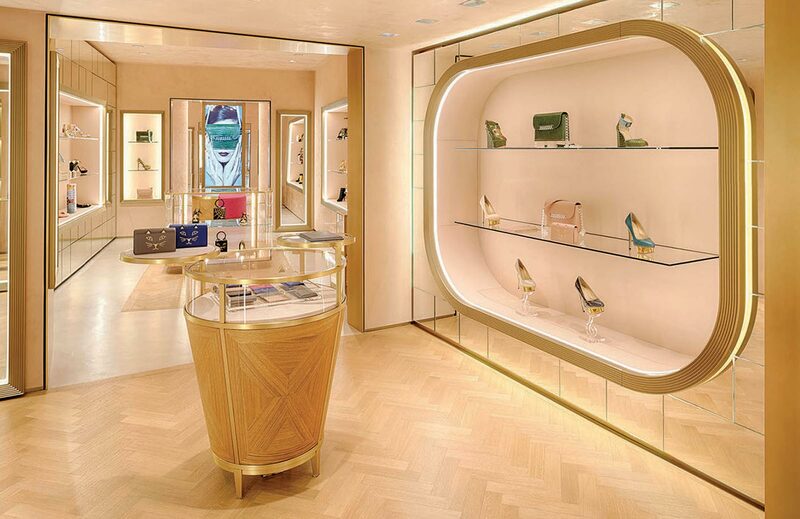 114 Draycott Ave is the new flagship store for ‘Charlotte Olympia’ located in the highly sought out borough of Chelsea, in the trendy neighbourhood of Brompton Cross. The 150 Sq. M store features ‘blush pink walls’ and ‘midcentury-inspired furnishings’, such as a pink and gold lozenge-shaped seating area with pale wood herringbone floor, and brass panels that accentuate the shoes on display. There are now 10 stores for the brand globally, London, Bangkok to California. 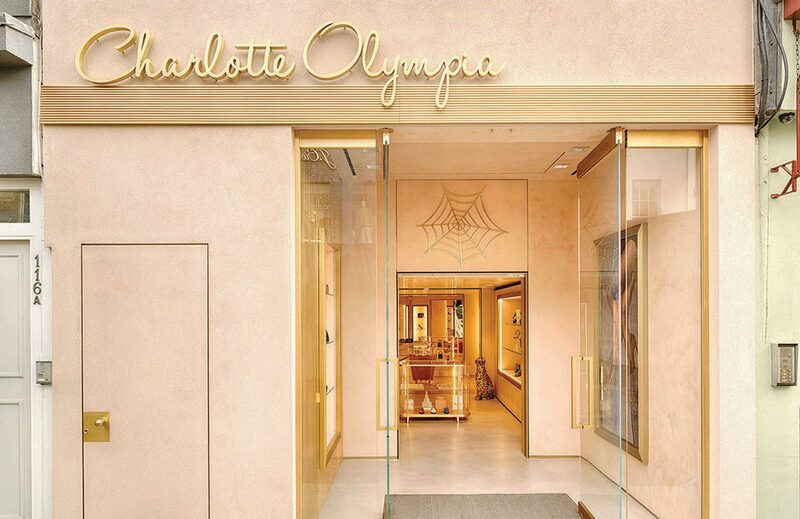 The new design transformed its previous restaurant usage through the reorganisation of the layout and application of the style, brand and glamour that Charlotte Olympia is famous for. The store first exhibited its pre-fall collection that takes inspiration from artists like Wassily Kandinsky and Salvador Dalí. The store also has an exclusive collection, inspired by its London location.